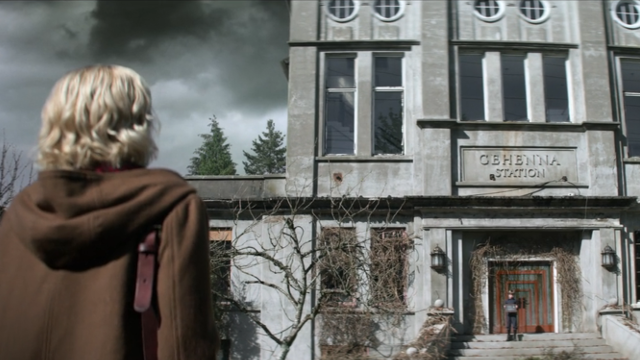 With Sabrina agreeing to attend the Academy in the previous episode, Chilling Adventures of Sabrina season 1 episode 4 sees the young witch attending her induction into the Academy over a three-day weekend. With Sabrina away, Susie and Roz plan a girls weekend that reveals a terrible secret about the Greendale mine. Upon arriving at the Acedemy, Sabrina is summoned to Faustus’ office, where she is given a load of basic courses. Sabrina wants a more advanced load of conjuring, binding, and demonology, since her only purpose at the Academy is to defeat the devil. Sabrina’s placement runs her afoul of the Weird Sisters, who torture Sabrina by putting her through a hazing tradition at the Academy called The Harrowing. During the initiation ritual, new attendees at the academy are forced to retrace the steps of the Greendale 13, culminating with being hanged. Sabrina fights with the Weird Sisters, which results in a call to Aunt Zelda. Zee tells Faustus that the reason Sabrina is acting out is because she’s not being challenged enough by the basic courses. Zee suggests that Faustus test Sabrina. He obliges by handing Sabrina a puzzle, which was her father’s thesis project. The puzzle has stumped Faustus for 20 years. With the help of a fellow student, Nick, who smuggles some of Edward’s notes out of the Academy library, Sabrina solves the puzzle, conjuring/releasing a creature. With Sabrina gone for the weekend, Susie and Roz have a girls weekend sleepover at Susie’s house. But, the girls are not alone in the house. Susie’s uncle Jesse worked in the mine that Harvey’s dad owns, until he got sick and couldn’t work anymore. Susie is responsible for taking care of Jesse with everyone gone for the weekend. Harvey learns about Jesse and that Jesse lost his mind when he saw some creature in the mine. Harvey wants to know if Jesse saw the same creature that Harvey saw. Harvey tries to talk to Jesse, but a possessed Jesse attacks Harvey, forcing Harvey, Susie, and Roz to restrain Jesse to the bed posts. Ambrose is invited on a date with Luke, so he turns to Hilda to help him astral project to a coffee shop. Hilda initially refuses, but gives in after having enough of Zee’s badgering. While Hilda is helping Ambrose, Wardwell searches the Spellman home, casting spells that allow her to spy on Sabrina and gathering materials to fashion charms and voodoo dolls. Zelda returns as Wardwell is leaving, chastising Ambrose and Hilda both for projecting and for letting a stranger have the run of the house. When Sabrina calls and tells her aunts that children have died during The Harrowing, her sisters are incensed. Sabrina takes her aunts to the ghosts of the dead witches and warlocks. Zelda thinks the ghosts want to be released from the woods, but Hilda understands them better. Hilda remembers how Zee treated her during her own Harrowing, and helps the ghosts get revenge. Neither of the aunts can sleep that evening, worrying about Sabrina. Zee apologizes to Hilda for how she treated Hilda. Meanwhile, back in the woods, the ghosts help Sabrina turn the tables on the Weird Sisters. From that night forward, there will be no more Harrowing at the Academy. 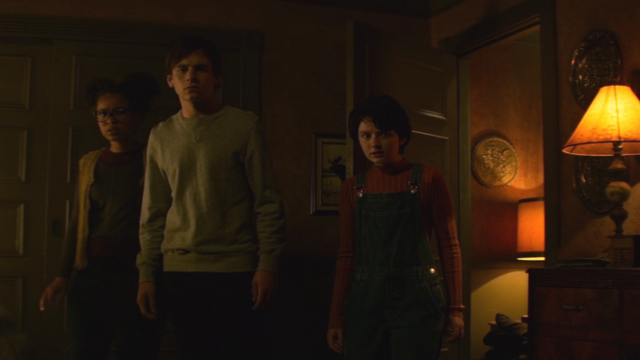 What did you think about Chilling Adventures of Sabrina season 1 episode 4? Let us know in the comments below! The post Chilling Adventures of Sabrina Season 1 Episode 4 Recap appeared first on ComingSoon.net.